Makers of the Wedding Party (part two) have finished filming and are expected to have moved into post production to meet pre-scheduled deadlines. The comedy was shot in Dubai over the past 2 weeks. "It's a wrap!!! Next, my fav part of filmmaking...Post!!! Thanks to @moabudu @inkblotpresents and the Elfike Collective for trusting me with their franchise," the director of the sequel," Niyi Akinmolayan wrote on Instagram. "Thanks to a wonderful team in Nigeria and Dubai for their dedication to the project. Can't wait to share the magic we made with you all this December. See you soon!!!" The movie which is scheduled for a December release, shot in Nigeria for at least two weeks, before heading to Dubai. The sequel stars Patience Ozokwor, Sola Sobowale,Omoni Oboli, Seyi Law, Chugurl Daniella Down, RMD, Ireti Doyle, Ali Baba, Ikechukwu the Rapper, Enyinna Nwigwe, Saka among others. 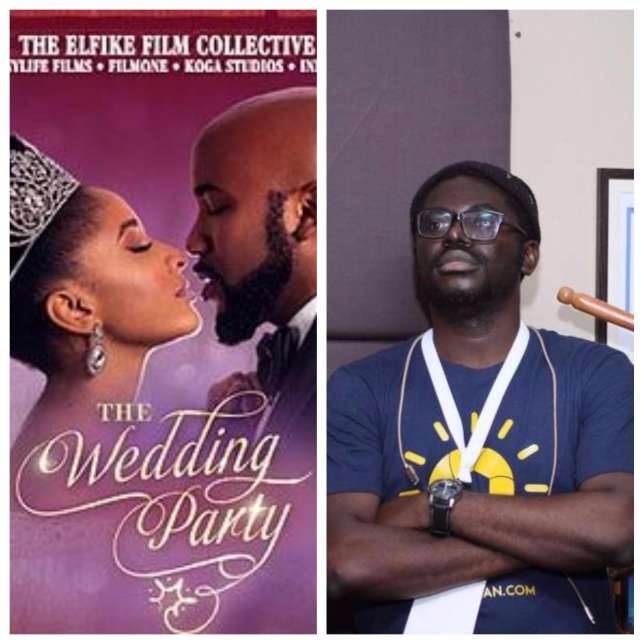 "The Wedding Party" sequel follows the romance between Nonso Onwuka (Enyinna Nwigwe) and Deirdre (Daniella Down), the bridesmaid from London. Directed by Niyi Akinmolayan, "The Wedding Party 2" is a sequel to the highest grossing Nollyood movie ever, and is expected to debut in cinemas on December 10, 2017. It's a wrap!!! Next, my fav part of filmmaking...Post!!! Thanks to @moabudu @filmoneng @inkblotpresents and the Elfike Collective for trusting me with their franchise. Thanks to a wonderful team in Nigeria and Dubai for their dedication to the project. Can't wait to share the magic we made with you all this December. See you soon!! !